This year, five counties – Alachua, Hernando, Miami-Dade, Martin and Palm Beach, along with several local communities such as the city of Sanibel, are adopting Florida Gopher Tortoise Day resolutions. 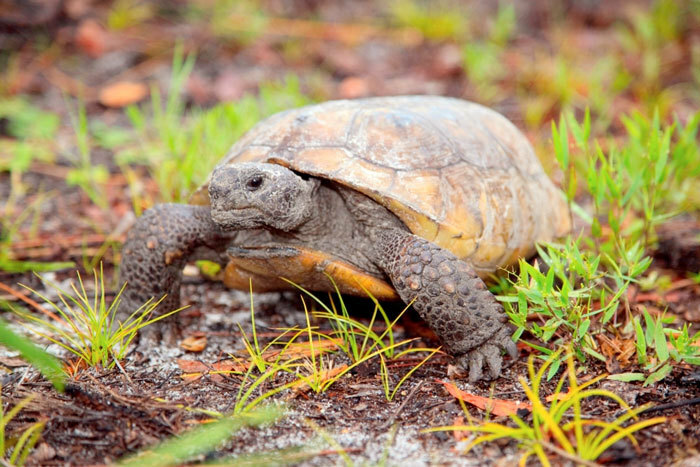 But anyone can get involved in helping Florida’s gopher tortoises. Looking for ways to celebrate Gopher Tortoise Day and conserve the tortoise? Go to GopherTortoiseDayFL.com for information and activities for April 10 and all year long, including a resolution template for your community to adopt Gopher Tortoise Day, a guide to living with gopher tortoises, and ideas for kids’ activities, such as fun gopher tortoise coloring pages and the Gopher Tortoise Field Trip Guide.